Apart from your wedding day, race day is one of the most high stakes days when it comes to perfecting your hair and makeup. Here are some ideas on how you can take your look from good to great. One way to elevate your race day outfit with stunning makeup is to use bold colours that complement what you’re wearing. This doesn’t necessarily mean using the exact same colour as your dress or accessories, so do some research into complementary colours to see what combinations will work best. A red lip in particular looks fantastic on race day, regardless of what colour you’re wearing. But keep in mind, if you’re using bold colours, it’s best to opt for a toned down hairstyle and less of a statement eye to keep things balanced. If bold colours aren’t your thing, you can still bring energy to your race day look by incorporating dark, statement eyes. Smudgy eye looks are still holding their own on fashion runways, and something we saw time and time again during New York Fashion Week was a touch of glitter along the lash line. Also, don’t be afraid to add emphasis to the lower side of your eyes to really make them pop. If you’ve struggled to find a fascinator you love, work around it with a unique hairstyle. Because if there’s one day out of the year you can experiment with more adventurous styles, it’s race day. Why not channel the 60s with a voluminous up-do, or weave a beautiful head scarf into your look. If you need inspiration, researching fashion week hairstyles from around the world should give you some stellar ideas. On the other end of the spectrum, if you’ve found a fascinator that you can’t stop staring at, and you want it to be the focal point of your look, opt for a slicked back hairstyle. Wet-look hair has been very prominent on runways this year, and gives a classically elegant look that highlights your natural facial features. Talk to your stylist about whether to go for a slicked back pony/bun, or just slicked back hair behind your ears leading to loose flowing waves. Your stylist will figure out which look would suit your features and outfit best. Need to Book Race Day Hair and Makeup? 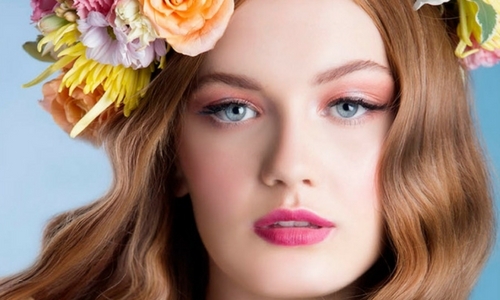 Need help from a professional hair and makeup artist to bring your race day look to life? Get in touch with the talented artists at TWIDALE to book your appointment.